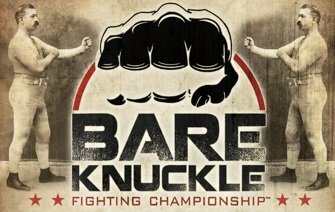 The full lineup of matchups are set for the inaugural Bare Knuckle Fighting Championship (BKFC) fight card that will feature 12 bouts Saturday, June 2 live on pay-per-view from Cheyenne Ice & Events Center in Cheyenne, Wyoming. The first legal, regulated and sanctioned bare knuckle event in the United States since 1889, “BKFC: The Beginning,” will air throughout the United States and Canada on pay-per-view through MultiVision Media, Inc., on FITE-TV app and fite.tv on all major television and streaming distribution outlets for $29.99 in 4K. The event can be ordered at www.bareknuckle.tv/bkfc1. The pay-per-view telecast will feature former boxing world champion Antonio Tarver providing color commentary. Headlining the card is former UFC Heavyweight Champion Ricco Rodriguez taking on Pennsylvania’s Lewis “The Beast” Rumsey in five rounds of heavyweight action, while Lineal Bare Knuckle Boxing Heavyweight World Champion Bobby Gunn battles Brazil’s Marcelo Tavares in a seven-round attraction. A five-round women’s showdown between “Rowdy” Bec Rawlings and Alma Garcia will also be featured on the groundbreaking pay-per-view event. A former UFC fighter, Rawlings recorded two wins in UFC among her seven professional MMA victories. The 29-year-old from Brisbane, Australia enters the ring looking to bring her signature aggressive style into bare knuckle boxing. She will take on Garcia, a professional boxer with seven fights under her belt and fighting out of Denver, Colorado. Held under the auspices and control of the Wyoming Combative Sports Commission, headed by Chairman Bryan Pedersen, the card features only established professional fighters who have competed in boxing, MMA, kickboxing or Muay Thai. BKFC heavyweight tournament action will feature Arizona’s Eric “The American Soldier” Prindle battling Missouri’s Sam Shewmaker, Las Vegas-native Maurice “The Gorilla” Jackson against Hawaii’s Dale Sopi and Chicago’s Arnold “Bomaye” Adams competing against California’s DJ “Da Protégé” Linderman in a series of five-round quarter final matchups. Additional fights on the stacked night of bare knuckle boxing include Virginia’s Reggie Barnett versus Pennsylvania’s Travis Thompson in a five-round 135-pound fight, Texas-native Johnny “Brutal” Bedford in a 137-pound, five-round matchup against Wyoming’s Nick “Garfield” Mamalis and a 155-pound showdown between Phoenix’s Estevan “El Terrible” Payan and Washington’s Omar “Gallo Fino” Avelar scheduled for five rounds. Rounding out the night of fights are a pair of 145-pound fights as San Diego’s Joey Beltran meets California’s Tony “Kryptonite” Lopez in a five-round bout and Winnipeg’s Desmond Johnson taking on New Mexico-native Austin Ward in a five-round affair,plus Canada’s Brandon Cheverfield against Indiana’s Jorge Gonzales in a five-round 165-pound attraction. Tickets for the live event are available now exclusively at www.bareknuckle.tv and are priced from $50 to $200.